The SATTVA Blog is back! We want this blog to be a resource for people to stay up to date with what’s happening at the studio and in the community. We know that the SATTVA School is so more than the physical space we occupy, so we’re designing this blog to support the energetic space that we all share no matter where we are in the world, or with our practice. With that in mind, our intention for this space is to create a deeper connection with each other, and to build an online hub of yoga, lifestyle, culture and wellness with SATTVA at it’s heart. Watch this space for an added facet to the SATTVA practice and community. We are so happy that you’re here. If you’ve been spending time at the SATTVA School of Yoga recently, you may have heard our teachers and students refer to September 21st as ‘Yogi Christmas’. An entire day devoted to cultivating peace is, for us, as exciting and energizing as the feeling of Christmas. September 21 is an internationally recognized cease-fire, and is declared by the United Nations General Assembly as a day dedicated to strengthening the ideals of peace among all nations and peoples. To honour this day each year, the SATTVA School celebrates with a community yoga practice and meditation led by Rameen, and it is a chance to come together and celebrate what peace means to each of us. It’s also no coincidence that the Peace Day shares space on the calendar with the autumn equinox. The hours of daylight and darkness come to equilibrium, and we are given the opportunity to nurture a sense of balance and ease in our lives. When we experience balance, we also experience peace. At the heart of this, it is a sattvic state of being. With every year that passes, this day becomes more and more significant to the SATTVA community, and has rapidly grown in attendance, depth and potency. The studio becomes an epicenter of people cultivating inner peace, and extending this energy to outer peace in their own lives and larger community. It is truly one of the most special days of the year to be at the studio. This year we decided to evolve our Peace Day event into something more. With the knowledge that our community has shown up so consistently and powerfully for Peace Day over the years, we felt it was time to merge two causes very close to the heart of the Sattva practice, and create a fundraising opportunity as a means of further building peace in the community. For a bit of context, Rameen and the SATTVA School created a seva project dedicated to providing yoga and meditation to the wider community. 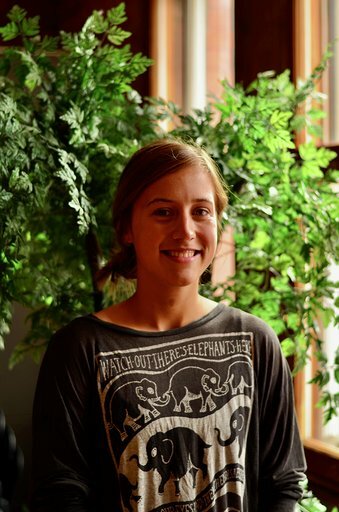 In 2015, the Inner Peace Project was formally launched, directed by senior SATTVA teacher Katie Mahon. 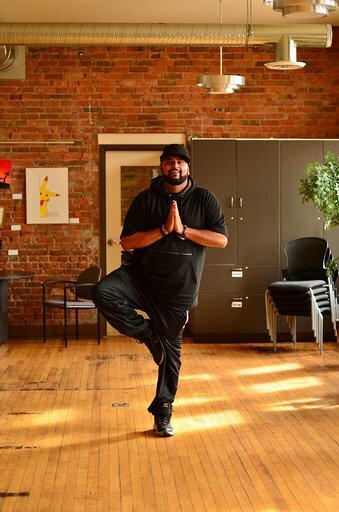 The Inner Peace Project is designed to offer yoga, breathing, and meditation classes to community organizations working with marginalized, vulnerable and at-risk populations. The belief is that a yoga practice can be a way to heal from all types of trauma, and we want everyone who might need this to have access to it. The Inner Peace Project brings yoga and meditation practices out of the studio and into the lives of those who often need the practice the most. What does having yoga at your facility mean to you? Adriana: Working for YESS and trying to help homeless youth navigate our city and the systems and supports that we have in place does not allow for a lot of eagerly anticipated moments. The work that we do is challenging and difficult and can often feel overwhelming. Having yoga once a week is something that I very much look forward to. Similar to checking in with my co-workers, and the debriefing process that this work requires, having yoga as an established part of my work schedule is extremely valuable. It has provided me with a good focal point in creating a balance of taking care of myself in order to address the needs of others. In order to be the best that I can be at my job I have to take proper care of myself. Yoga has allowed for that self check in process to occur more naturally and in a very consistent way. 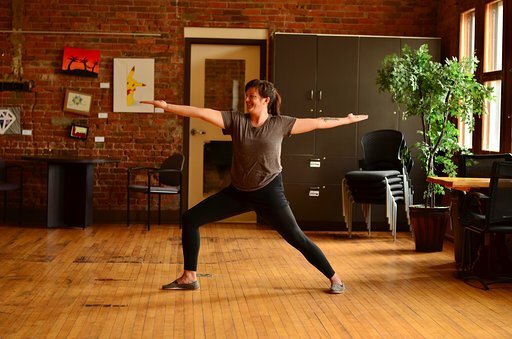 Carly: Having yoga at the Armoury has allowed me to actually take some time out of my day to devote to me. Sometimes it’s hard to turn your brain off during short breaks and actually feel relaxed, but taking some time to focus on different postures and positions in our yoga sessions gives my mind a well-needed break. Shiraz: It gives me time to centre myself and ground myself so I can deal with the high stress nature of my job. It also gives the youth a chance to have a quiet moment while working on themselves. How has this yoga program impacted you - professionally and maybe even personally? Adriana: I had a very serious back injury 13 years ago and as time has progressed my personal care for that injury became more of an afterthought. The introduction of the SATTVA school of Yoga to YESS could not have been better timed. I have noticed a huge improvement in my daily pain and I have also felt much more motivated to do the daily exercises and practices that help to alleviate that pain. I find it quite exhilarating to go through the week focusing and practicing on what I learned at yoga that Tuesday morning. Carly: This may not seem like much, but after only a few sessions of yoga I was finally able to touch my toes!! I also feel a lot more focused when I return back to the floor at work – it’s like I get to restart the beginning of my day. Shiraz: Personally, it has helped me with my posture and helping to regulate with my emotions more. That’s how it also helps me professionally as well! How have you seen this program impact the youth at YESS? Adriana: It is remarkable to take part in a yoga class alongside the youth. It’s very important to create spaces where youth and staff can meet at the same level. It is so good for the youth to have positive role modelling from the staff at YESS and then to be a part of the process themselves is that much more amazing. I have witnessed a very positive vibe and energy from any youth that take part. The experience seems to trickle into the rest of their day and guide the decisions that they make for themselves in a very positive way. Thank you so much to Emily and to SATTVA. Carly and Shiraz: We both think that the youth who have participated have been more interested in practicing mindfulness. They are more open to trying new things, and more interested in the practice of meditation and finding space for themselves.